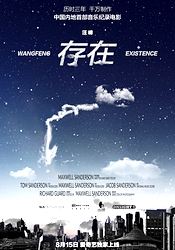 In 2014, British film company SLA Studios met with Chinese artist Wang Feng, to discuss filming his record breaking Storming Tour. What unfolded, from a 6 month shoot, became a 3 year project. This is the first cooperation of it’s kind, where the art of song writing transcends cultural boundaries and for the first time the world can understand more about the history of Chinese popular music. Including exclusive interviews with his mother, sister, friends, band members and wife Zhang Ziyi the story travels back from 1971, through to present day. A rollercoaster of highs and lows, including live show performance from his tour. Wang Feng’s music and authentic life story has now touched the heart of the international music industry. This is the true story of a Chinese artist that rocked China; and whose story is now ready to rock the world.